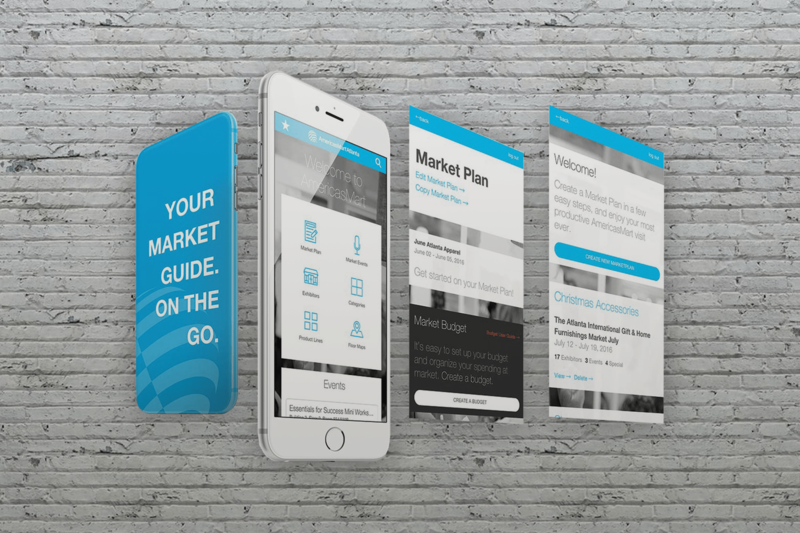 Leap had previously developed an app with AmericasMart to assist buyers attending Market. When we substantially expanded the app’s capabilities, we created a campaign to promote app downloads and usage. 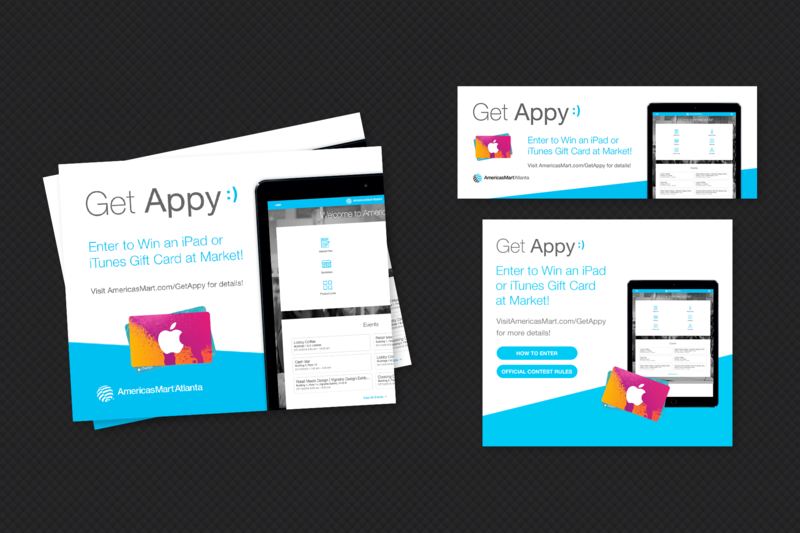 In addition to maximizing the app’s functionality, we developed on-ground print materials and digital displays, a contest to drive app engagement and an email campaign. The result was a 66% increase in app use. 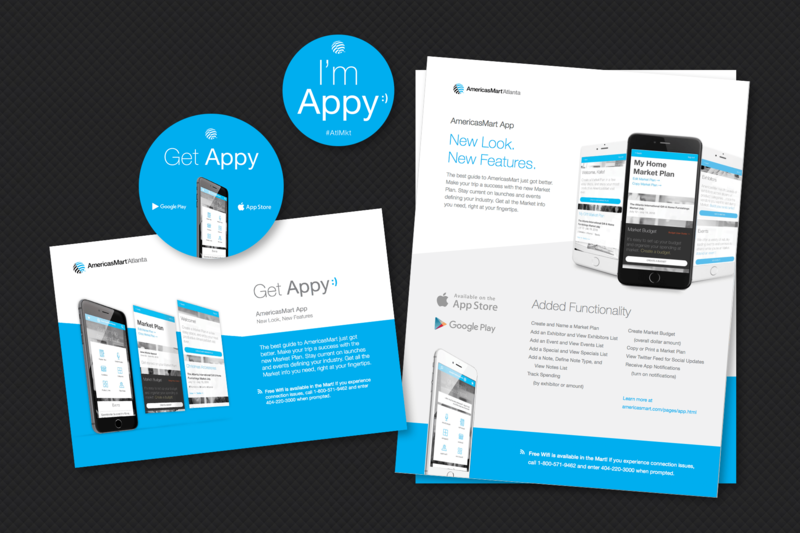 The Get Appy campaign was born from the idea that using the app provides a happy experience at Market. To get the word out during July Market, print collateral in the form of postcards, flyers, buttons and stickers were handed out by on-ground “app-bassadors.” The app-bassadors also personally demonstrated the app to Market attendees and shepherded in-person downloads. 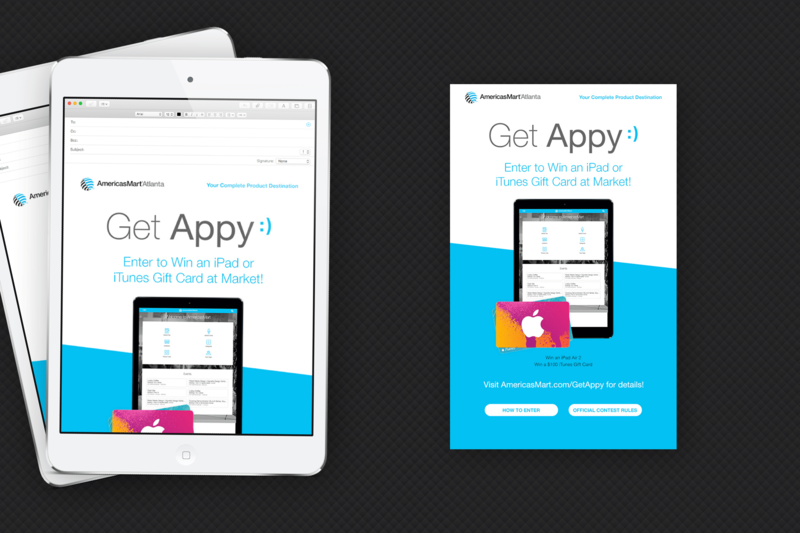 App engagement and use was further promoted through a Get Appy contest that awarded iTunes gift cards and iPads to lucky new app registrants. Contest advertisements were digitally displayed throughout the Mart and in Mart transit vehicles. Additionally, an email campaign was sent to all July Market attendees for reinforcement and as a stop-gap for those not engaged onsite or in transportation.